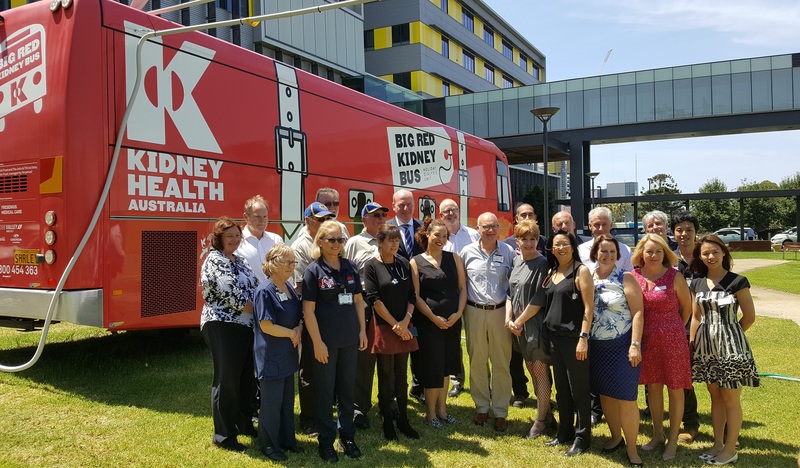 It was great to visit Royal North Shore Hospital to see Kidney Health Australia’s Big Red Kidney Bus with the Federal Member for North Sydney Trent Zimmerman. Transplant Australia representatives met the wonderful hospital staff, healthcare professionals and representatives from DonateLife, and checked out the Big Red Kidney Bus – part of Kidney Health Australia‘s award-winning program which provides a mobile haemodialysis service, allowing those who require haemodialysis the chance to have a holiday whilst still receiving treatment. By working together, our goal is to make sure that every Australian who needs dialysis, or who needs a transplant, has access to one. Currently, there are around 12,000 people who need dialysis treatment, and over 1,400 people on the waiting list.